Rent a luxury car in Europe to experience freedom of exploration in a vehicle of unmatched performance and comfort. Our rental fleet caters to numerous European cities of historical value and global significance. Empire Luxury Club holds main offices in Rome, Barcelona, Vienna, and Luxembourg, but we serve an impressive range of cities, destinations, and hubs stretching across the continent. Drive from region to region along high speed motorways, navigate through breathtaking buildings and city streets in unrivaled style, or embark on scenic drives past mountains and lakes. Empire Luxury Club’s selection of prestigious marques is guaranteed to make the journey sweeter. Pilot your own work of automotive art and hop from museums to preserved palaces, or from dinner and drinks to the opera. Cruise through wine country, follow the river veins of Europe, or climb the high altitude roads that carve the Alps. Some of our destinations include, but are not limited to Italy, Spain, France, Germany, Monaco, and Switzerland. Magnificent architecture, stunning landscapes, and picturesque villages await. Make the most of your modern voyage by grabbing the keys to a luxury sports car, VIP coach, or capable SUV, while you stay in one city to absorb and enjoy its culture or go the distance to explore completely new sights. With Empire Luxury Club, you can rent the most exclusive and desired supercars the world has to offer for your colorful and memorable excursions. Whether you are visiting Europe for business or for leisure, our luxury car rental Europe fleet is available for your driving pleasure. Our rental fleet serves the United Arab Emirates and is available for reservations in the grand city of Dubai. Nestled on the coast between the blue waters of the Persian Gulf and the vast Arabian Desert, this shining metropolis of opulence and excess is a prime destination for luxury travel. Rent one of Empire Luxury Club’s premium vehicles and drive the beautifully paved roads that wind through this young oasis of wealth and innovation. Dubai is world famous for its population of supercars. With an infrastructure conducive to motoring and a culture of praised customer service, Dubai and its people truly understand the allure of the automobile. Join the car craze of the city by driving your own luxury sports car from Empire Luxury Club. Explore Dubai with power and panache, past the giant sail of the Burj Al Arab and under the towering silver spire of the Burj Khalifa. Visit extravagant hotels, renowned gourmet restaurants, man-made islands, and lavish shopping malls in the exotic car of your choice. Our luxury vehicle selection spans the most important automotive marques of the highest caliber, and our personnel is trained to provide you with professional service, priority, and a custom-tailored experience. Make your trip to the New World an unforgettable experience by renting one of Empire Luxury Club’s sports cars. America’s love affair with driving was ignited by the birth of the automobile and remains as strong as ever throughout the years. Experience the romanticism of the great American road trip and grab the keys to one of our various exotic cars. Tour the grandiose theme parks of Florida. See inspirational symbols of nationalism and visit priceless museum collections at the nation’s capital, Washington DC. Adopt the relaxed lifestyle of California by following its scenic stretch of windy coastal road. 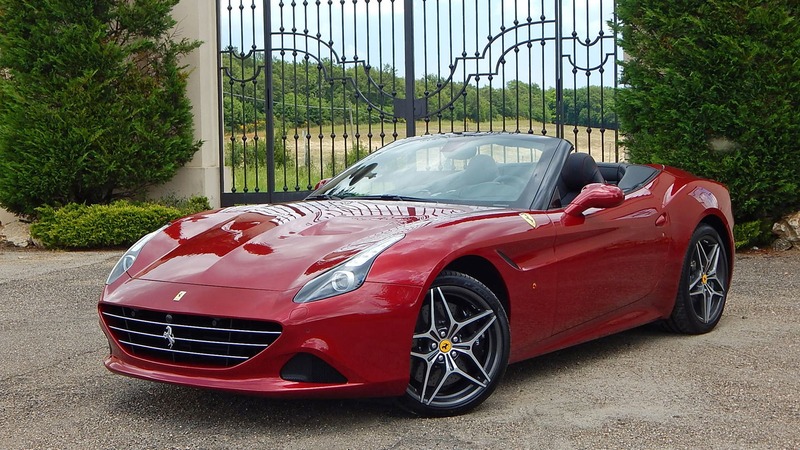 Bring some suntan, wear your favorite sunglasses, and feel the wind in your hair by cruising with the top down in one of our convertible sports cars. The USA boasts never-ending ribbons of pavement for automotive enthusiasts, and countless trails for adventurous off-roaders. Rent a luxury sports car or SUV from Empire Luxury Club for your spectacular travels in America.